Sittard, The Netherlands, November 16, 2016 - SABIC will have a new pilot plant for development of next-generation polypropylenes on-stream in Sittard-Geleen, the Netherlands, by the end of March next year. 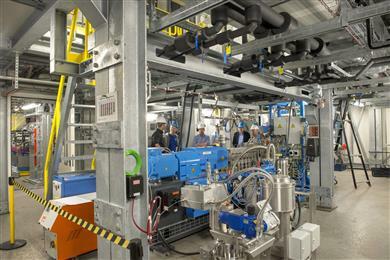 The plant, which will use gas-phase polymerization technology, will support the production at nearby full-scale plants of superior materials that meet the needs of the different industries like automotive, pipe, appliances and advanced packaging. The pilot plant is the latest in a series of investments being made by SABIC at the Brightlands Chemelot R&D and manufacturing campus in Sittard-Geleen. The company opened a new research facility there in May. Lina Prada, Global PP Technology Director, says the pilot plant is a further demonstration of SABIC’s commitment to invest in innovation. 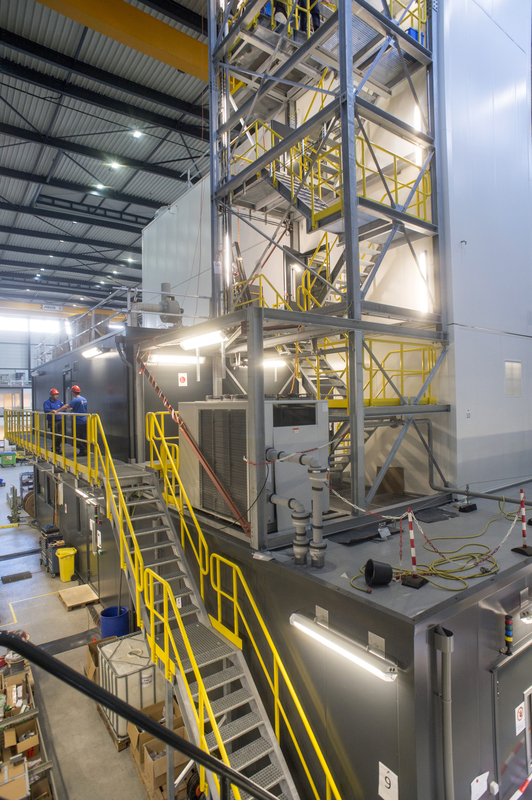 “When it starts up next year, we will have considerably more capacity to develop new PP materials for commercialization in our current European assets in Geleen and in Gelsenkirchen, Germany,” says Prada. SABIC is taking a fast-track approach to construction and installation of the pilot plant. It has contracted the work to Zeton, a leading designer and builder of innovative pilot and demonstration-scale plants with facilities in Enschede, the Netherlands and Burlington Ontario in Canada. Zeton has developed a skid-mounted system that accelerates implementation times and allows full design flexibility. Installation will begin in December after Zeton has built and tested the plant in Enschede before partially disassembling it into around 15 modules for delivery to Geleen. SABIC is looking in particular to develop grades with improved stiffness/impact, flow properties and other specific secondary properties needed in different industries. SABIC plans to concentrate on development of impact grades of polypropylene, as well as random copolymers and homopolymers. 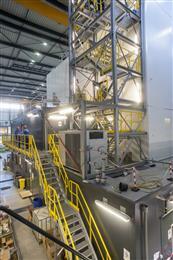 It will also carry out experiments on advanced catalysts. The plant will complement pilot plants used by SABIC at other strategic locations, and would support the strategic innovation initiatives to address continuously evolving market needs. SABIC is a registered trademark of SABIC International Holding B.V.
SABIC is a global leader in diversified chemicals headquartered in Riyadh, Saudi Arabia. We manufacture on a global scale in the Americas, Europe, Middle East and Asia Pacific, making distinctly different kinds of products: Chemicals, Plastics, Agri-Nutrients, Metals, and Specialties. We support our customers in identifying and developing opportunities in key end markets such as Construction, Medical Devices, Packaging, Agri-Nutrients, Electrical and Electronics, Transportation, and Clean Energy. SABIC recorded a net profit of SR 18.77 billion (US$ 5 billion) in 2015. Sales revenues for 2015 totaled SR 148.09 billion (US$ 39.49 billion). Total assets stood at SR 328.22 billion (US$ 87.53 billion) at the end of 2015. SABIC has more than 40,000 employees worldwide and operates in more than 50 countries. Fostering innovation and a spirit of ingenuity, we have filed more than 10,960 patents, and have significant research resources with innovation hubs in five key geographies – USA, Europe, Middle East, South East Asia and North East Asia. At SABIC, we combine a rich track record of doing what others said couldn’t be done, with a deep understanding of our customers. But our true impact is as a partner who can help our customers achieve their ambitions by finding solutions to their challenges. We call this ‘Chemistry that Matters™’.